How to backup WhatsApp iPhone? Is there an easier way to backup iPhone? Do you have one of above questions in mind? Today I would like to help you get all answers to these questions. How to Backup WhatsApp Chat iPhone? You will be covered 4 ways to back up WhatsApp. Choose whichever way you like. Method 1: Backup Whatsapp Chat on The App Itself. Method 2: Backup WhatsApp Messages on iPhone by Turning on iCloud Drive. Method 3. Email Your WhatsApp History. Method 4: The Easiest Way to Backup WhatsApp. Open WhatsApp app on your device, go to Settings on the bottom-right corner. Find Chats and tap on it. Tap Chats Backup, then you can back up now. When you want to restore the WhatsApp backup or transfer WhatsApp to new iPhone, you can uninstall and reinstall the app and you will get prompt messages to inform you there is a backup prepared to restore. Navigate to Settings on your iPhone, and then tap iCloud. Scroll down to find iCloud Drive option and make sure that it is On. Turn on WhatsApp from the list of displayed apps. Once it is set, the the WhatsApp chat history will be automatically backed up to iCloud Drive. You can also email your WhatsApp chat history as a way to back them up. Follow the easy steps to email it to your computer. Open your WhatsApp app and locate the conversation that you want to email. Tap on the name of the conversation and then select Export Chat. Choose either Attach media or Without media as per your need. You can email to your own email address in order to backup the WhatsApp chat to your email address. Apple ways might be the most common options for iOS device users to manage data between device, iCloud or computer. There are something you should know about iCloud and iTunes. Memos & calendar & bookmark. Others like Safari history, browser cache, offline data, temp files, etc. What Does iCloud Backup Include? iMessages, text messages (SMS), and MMS messages require the SIM card that was in use during backup). Visual Voicemail password (requires the SIM card that was in use during backup). If you have backed up iPhone or iPad data with iCloud or iTunes before, you can easily restore WhatsApp from iCloud or iTunes. I am glad to tell you, yes there is! FoneLab iOS Data Backup & Restore is the ultimate WhatsApp backup and restore tool that you should use. 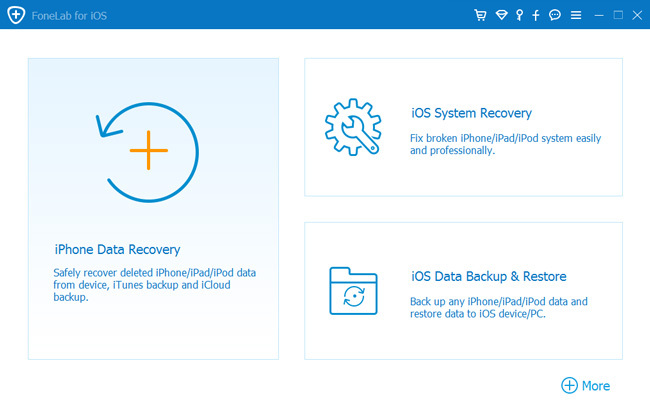 It is specialized in helping users backing up their iOS device without hassle. Besides, you are able to restore contacts and notes from the backup to your device. Download the free trial version with below link accordingly and have a try. Step 5. It allows you to select the type of data you want to backup. If you want to backup all data, just tick the box next to the Select All option on the bottom-left. To backup WhatsApp, only tick the box in front of WhatsApp & Attachments. When the process is finished, the backup file is saved on your computer. The software can backup iPhone photos, messages, contacts, notes, videos, call history, WhatsApp, voicemail and so on. Is there any way to recover deleted WhatsApp messages on iPhone? Of course you can use FoneLab for iOS to do it effectively.